George Griffith - SCI Technology, Inc.
Mr. Griffith is Vice President of Engineering and Product Development for SCI Technology, Inc. (SCI), a Sanmina company, in Huntsville, Alabama. 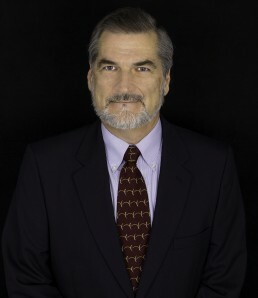 George brings more than 37 years of engineering experience, with 27 of those in defense and aerospace, to the company. He started his career with Westinghouse Defense Electronics, designing radar system CPUs and computer architecture for 10 years. In 1985, he joined SCI as a principal engineer in the Government Division. After 10 years directing engineering activities in intercommunication systems, George moved into SCI’s commercial computing division, which was responsible for PC design. He then held the position of Vice President of Worldwide Engineering for the PC Division of SCI, directing the technology for manufacturing computers and servers in seven plants in five countries. With the divestiture of SCI’s Computing Division in 2008, Mr. Griffith moved to Foxconn, where he managed the company’s Huntsville engineering and IT group until July 2010. That year, he returned to SCI in his present position. Mr. Griffith has a Bachelor of Science in Electrical Engineering from Auburn University. He has one daughter and one son.